Game company Atlus recently announced that video game Persona Q2: New Cinema Labyrinth will be coming to the West this year and will include the Collector’s Edition. The game will come with the standard edition and the collector’s edition with the prior costing $39.99 only. The latter edition on the other hand will cost $69.99 and will come with some awesome items. 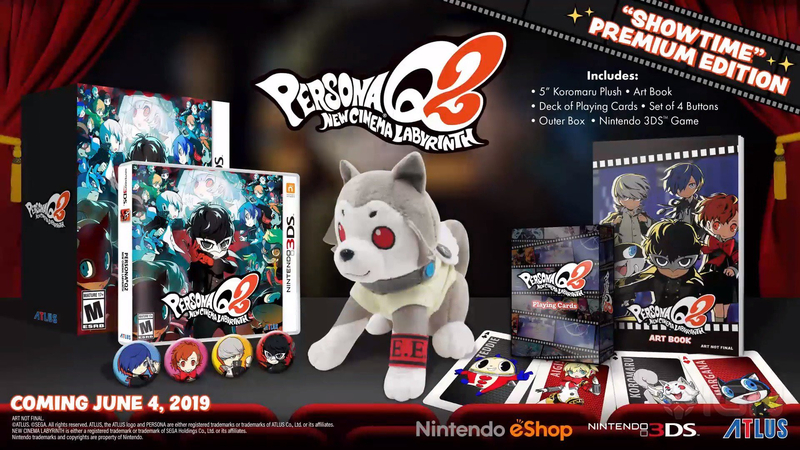 Buyers will get a 5” Koromaru plus, art book, four buttons of each protagonist, and some playing cards of characters Teddie, Aigis, Kormaru, and Morgana. The game is themed around films with each dungeon focusing on a specific movie genre. The western version will have a Japanese voice over as an option with English subtitles and the UI is inspired by Persona 5. Just like any other Persona title, the combat will be focused on discovering and exploiting enemy weaknesses, elemental or status effect types. The game will launch on June 4. It will be available on Nintendo 3DS.